For several decades, researchers have been working to develop vaccines that help the body’s own immune system to fight cancer. Recently, researchers at Washington University School of Medicine tested a breast cancer vaccine they developed and the results were encouraging, which may open a new avenue for women facing this disease. The new vaccine causes white blood cells in the body’s immune system to target and destroy cells that contain a protein called mammaglobin-A, which is expressed at abnormally high levels in breast tumors in up to 80 percent of breast cancer cases. 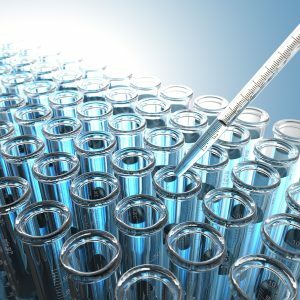 The small Phase 1 clinical trial was primarily designed to test the safety of the vaccine, but the results showed that not only was the vaccine safe and caused only minor or moderate side effects, but it also slowed the progression of cancer for 50 percent of the patients who received the vaccine. In the trial, 14 women with metastatic breast cancer who had previously undergone chemotherapy and whose tumors expressed mammaglobin-A were vaccinated. A control group of 12 women with metastatic breast cancer who had undergone chemotherapy did not receive the vaccine. Among those who were vaccinated, the only side effects were tenderness at the injection site, rash and mild flu-like symptoms and some participants experienced no side effects. Half of the women who received the vaccine had no progression of their cancer a year after vaccination. In contrast, only 20 percent of the women who did not receive the vaccine showed no progression, a result that the research team called statistically significant. What’s also notable about this small study is that even though the women who participated had immune systems that had been weakened by the disease and chemotherapy, the vaccine was able to incite a significant immune response that held the cancer in check for a year for some trial participants. The Washington University researchers are now planning a larger clinical trial that will include women who are newly diagnosed with breast cancer and have not undergone chemotherapy. That trial will examine whether these women, who have stronger immune systems since they haven’t undergone chemotherapy, also benefit from the vaccine. If the trial is successful and the vaccine receives FDA approval, the vaccine could become a new treatment option for the 80 percent of patients whose tumors express the protein mammaglobin-A. Unlike most currently available treatments, the vaccine does not appear to cause the severe side effects that other treatments do. In addition, there are currently few effective treatments for breast cancer that has spread to other parts of the body. If approved, this vaccine could offer those patients the potential to slow the progression of their disease and extend their survival. Learn how a personalized approach to cancer treatment and access to cutting-edge clinical trials could change the course of your treatment.